It is situated approximately 38 km away. Anegundi, is also a famous travel destination.Koppal district is bounded by Raichur district in the east, Gadag district in the West, Bagalkot district in the north, Bellary district in the south. 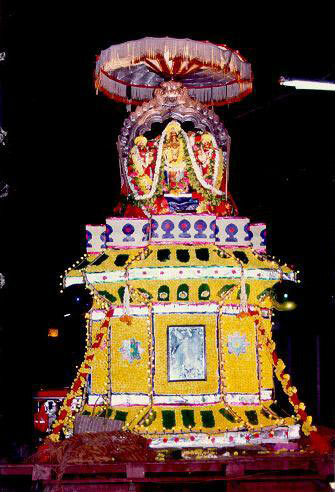 The history of Koppal can be traced back to the kingdoms of Shathavahanas, Gangas, Hoysalas and Chalukya Dynasties. The name of the district i.e. 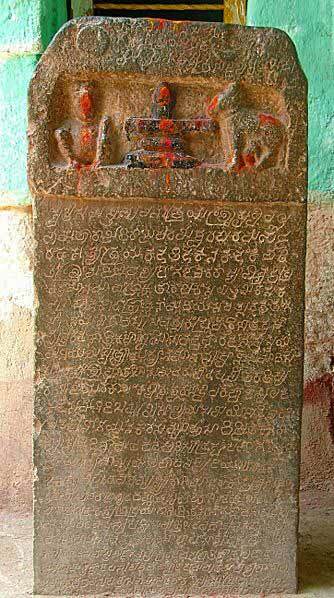 "KOPPAL" is found in the poetic work of the great poet Kavirajamarga (During King Nrupathunga's time of 814-878 A.D.) as "VIDITHA MAHA KOPANA NAGARA". During Ashoka's period, the Jainism gained greater momentum in this region. 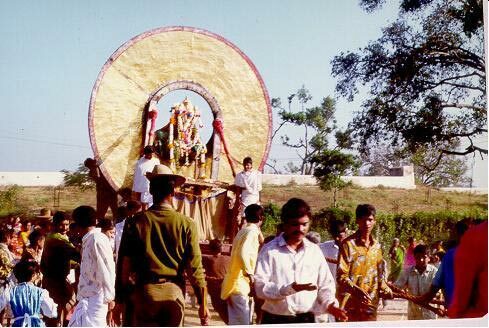 Therefore, it was called "Jainkashi". 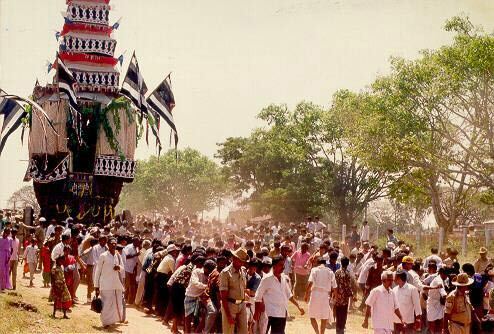 In twelth century A.D. Veerashaivaism of Social Reformer Basaveshwara became popular. The present Gavi Math of Koppal has great attraction. 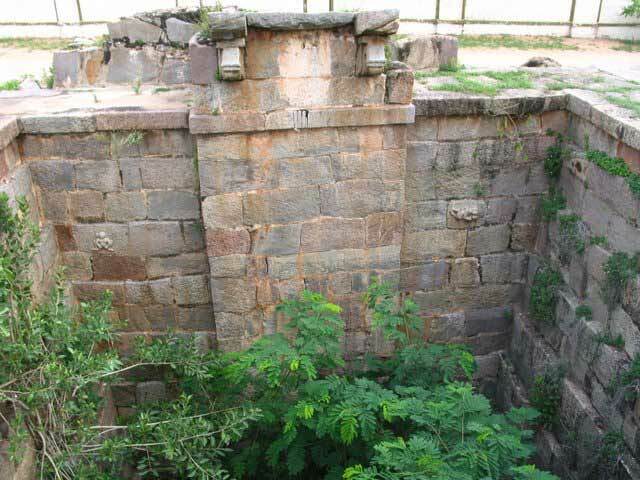 Anegundi of Gangavathi Taluk was the first capital of great Vijayanagara Dynasty. 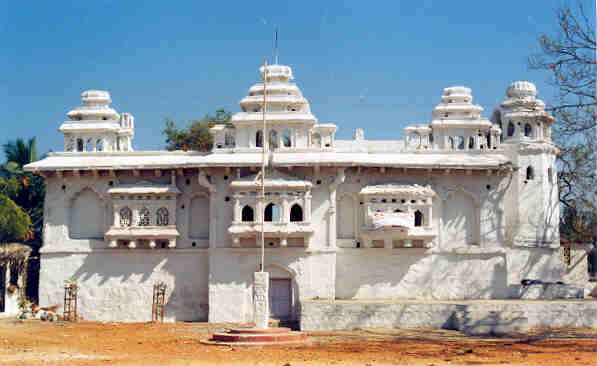 The old palace and fort still exist where annual festival called "Anegundi Utsava" is being celebrated in a befitting manner every year. 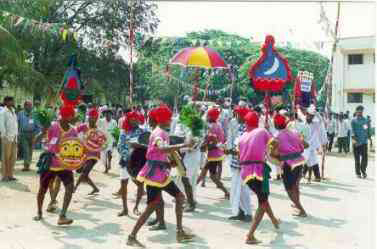 The other important historical places of Koppal district are Itagi, Kukanoor, Madinoor, Indrakeela Parvatha, Kanakagiri, Pura, Chikkabenakal, Hirebenakal & Huligi. Before Independence, Koppal was under the Nizam of Hyderabad. India got Independence on 15th August 1947, since Koppal was part of Hyderabad region, the people of the region had to struggle further to attain Independence from the clutches of Hyderabad Nizam. On 18th September, 1948, the Hyderabad-Karnataka got independence from Nizam. Since then until 01-04-1998, Koppal District was in Raichur District of Gulbarga Revenue Division. On 01-04-1998, Koppal district consisting of four taluks viz. Koppal, Gangavathi, Kushtagi & Yelburga came into being. The prominent language spoken is Kannada. Other languages like Marathi, Urdu,Telugu and Gujarati are also spoken by small portion of population. How to reach Koppal District? Nearest Railway Station:Koppal town is well connected by rail from Bangalore, Hubli, Belgaum, Goa, Thirupathi, Vijayawada, Guntur, Guntkal, Hyderabad, Miraj. Nearest Airport:The nearest airport is Hubli. Road Transport:Koppal town is well connected by road from all important cities in Karnataka. It is connected by road to Bangalore, Hubli, Hospet, Bellary, Raichur by National Highways (NH63 & NH13). It is 380 kms away from Bangalore and 120 kms from Hubli. State transport Buses ply to Koppal from almost all important cities like Bangalore, Hubli, Mysore, Goa, Hyderabad, Gulbarga, Bidar, Raichur, Bellary, Dharwad, Davanagere, Belgaum, Bagalkot, Bijapur and Mangalore etc. Temples of Koppal district, reflecting the typical south Indian pattern of architecture are some of the excellent tourist spots in Karnataka. 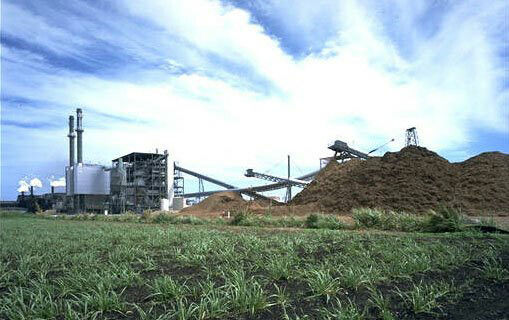 Koppal district was formed after the division of Raichur district and is the best seed production center in the state. Places of interest in the district are Anegundi, Navabrindavana, Kanakagiri, and Kuknur. 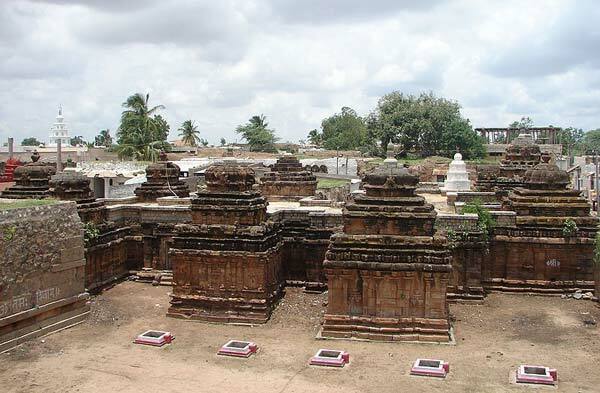 Maadanoor Temple, one of the temples of Koppal district houses two bronze idols of Brahmayaksh and Padmavati of the 13th and 16th centuries. 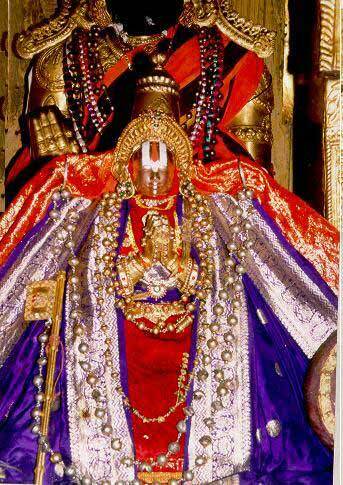 At the temple, one can also witness two bronze idols of Mulnayak Bhagvan Shantinath and Bhagvan Ajitnath. The temple with its tranquil and peaceful atmosphere attracts pilgrims from far and near. 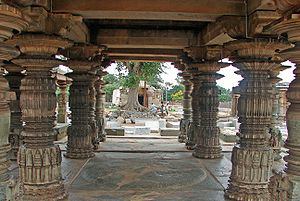 The temples of Koppal district have earned great popularity since their construction. 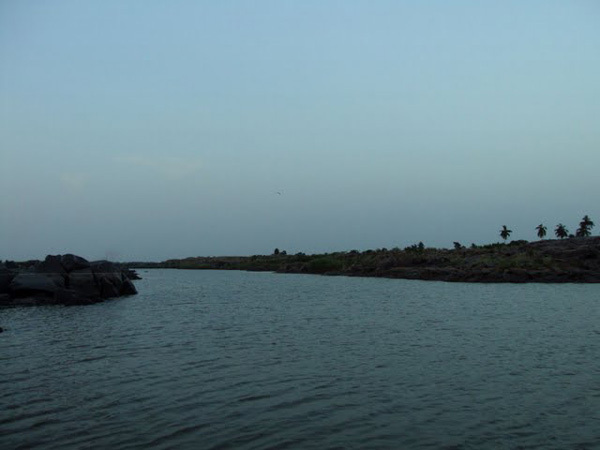 Anegundi (means "Elephant Pit" in Kannada) is one of the most ancient places of Koppal district is situated on the left bank of the river Tungabhadra. 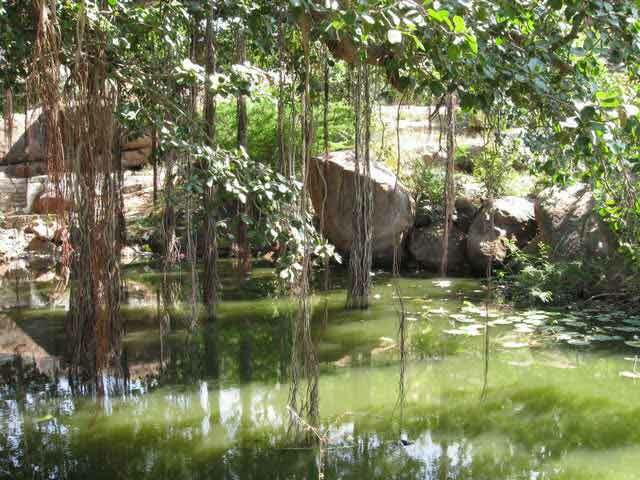 It is said that, Anegundi is the place where the elephants of the Vijayanagara kings were kept. Anegundi, believed to be the monkey kingdom of Kishkinda in the epic of Ramayana. 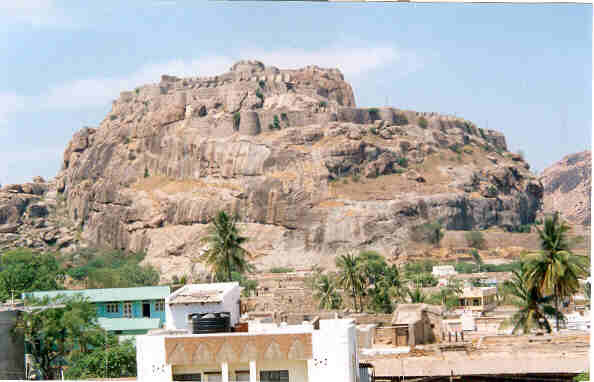 Anjanadri hill, the birth place of Hanuman (the monkey-god), and the mountain Rishimuka are the other places near Anegundi associated with Ramayana. The Ranganatha Temple and the Huchchappayana Matha are worth a visit. 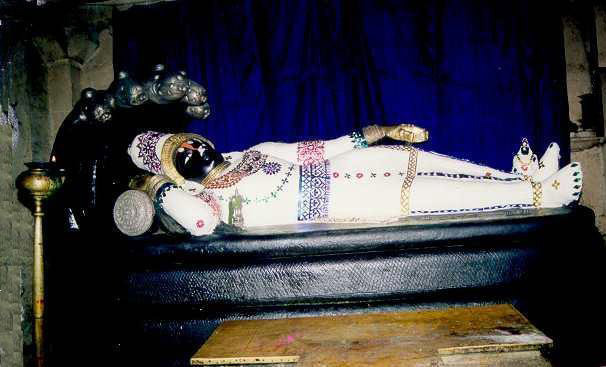 The Pampa Sarovara, the Kamal Mahal and Nava Brindavana housing the mortal remains of famous saints, are the other attractions around Anegundi. 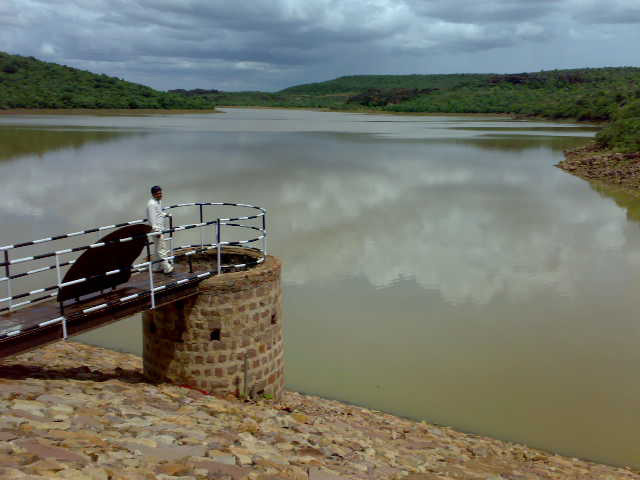 Pampa Sarovar Lake in Koppal District is 45 km from Hampi. 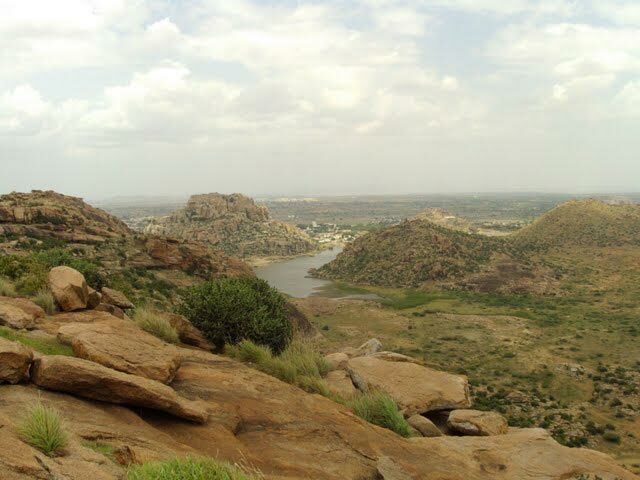 Lying south of Tungabhadra River, it is awe-inspiring. Pampa Sarovar is considered one of the five greatest sarovars in India. 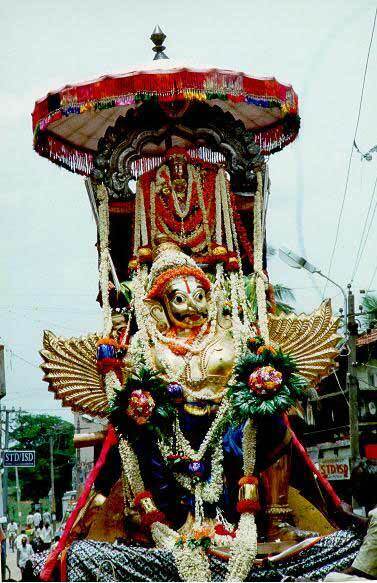 The old name of Kanakagiri town of Gangavathi taluk was Swarnagiri (means a "Hill of Gold"). 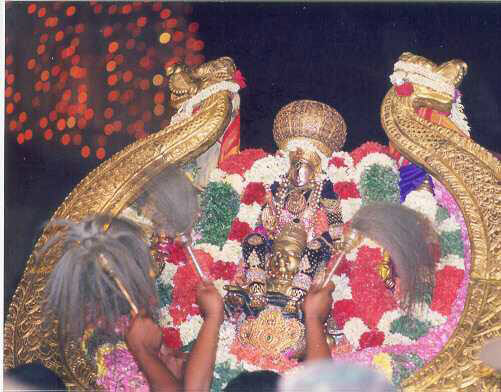 It is said that Kanaka Muni, a saint, performed penance at this place. Kanakagiri was the headquarters of the southern area of the Mauryan Empire. 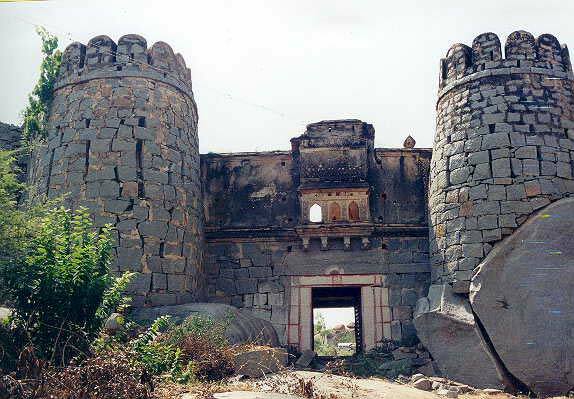 During the Vijayanagar period, this was the chief town of the Bedar Rajas. 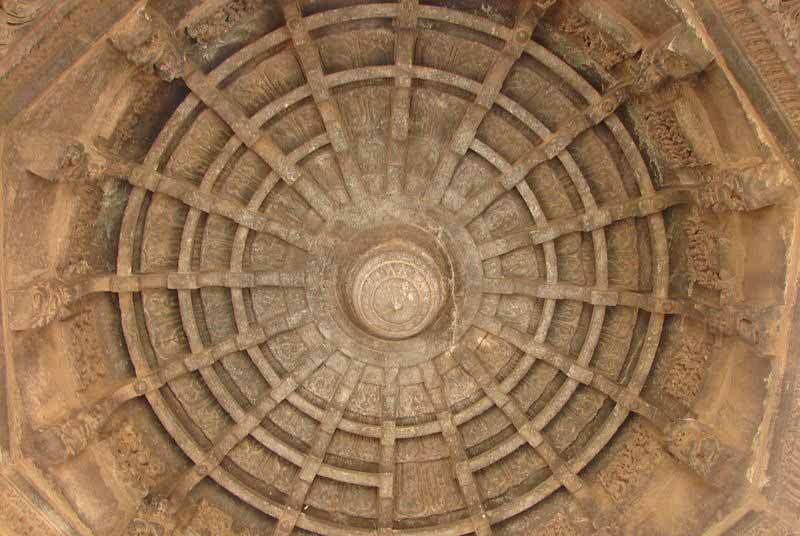 Kanakachalapathi temple here is a specimen of the South Indian architecture of Vijayanagar times. The gopuram and walls have well-executed sculpture. Is a small town lying seven miles due north of Bannikoppa station on the Guntakal-Hubli railway line. The town, though now small, was an important place in the early and mediaeval days and is rich in antiquarian remains of the later Chalukyan style of architecture and these buildings range from the 8th to the 13th century A.D.The folklore speaks of this place as the legendary Kuntalapura of Mahabharata period. 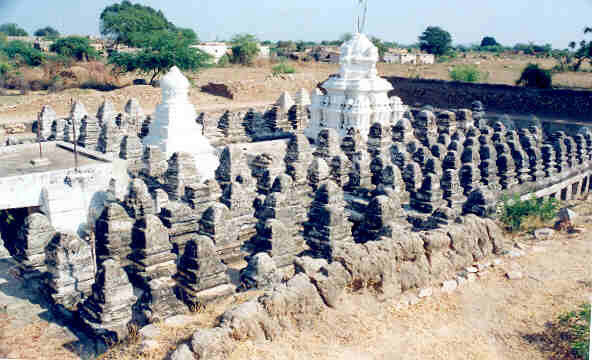 The Navalinga group of temples here represents early Chalukyan architecture. 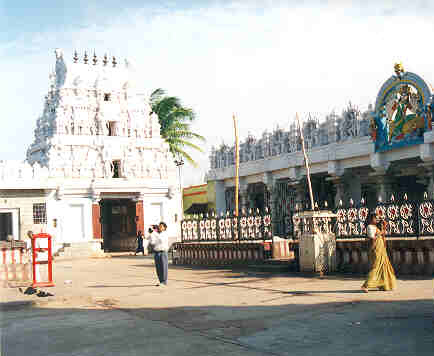 Two other important temples are Kalleshvara and Mallikarjuna. 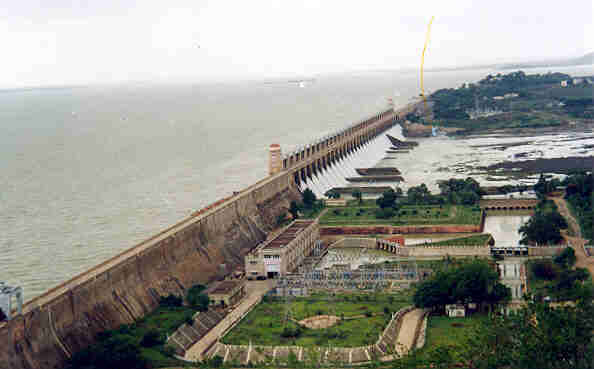 In Koppal taluk, about eight kilo meters from Hospet, on the Hubli-Guntakal railway line and about 32 kilometers from Koppal District headquarters.Tungabhadra reservoir is the attraction of Munirabad in Koppal taluk. The Left Bank Canal from here, which passes through the Koppal, Gangavathi taluks, irrigates a large extent of agricultural lands in the district. 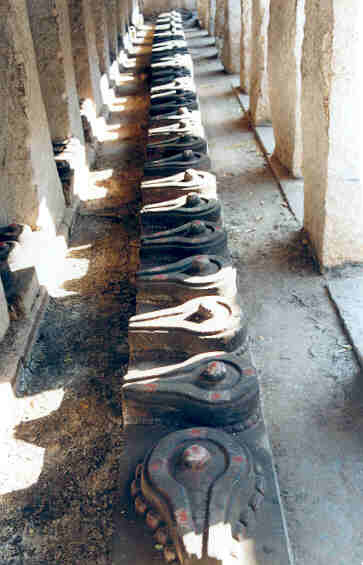 Is another important object of historical interest at Koppal. It is not known definitely by whom it was built. But it was acquired by Tippu Sultan in 1786 AD from a Paleyagar and rebuilt into one of the strongesxt forts with the help of French engineers. 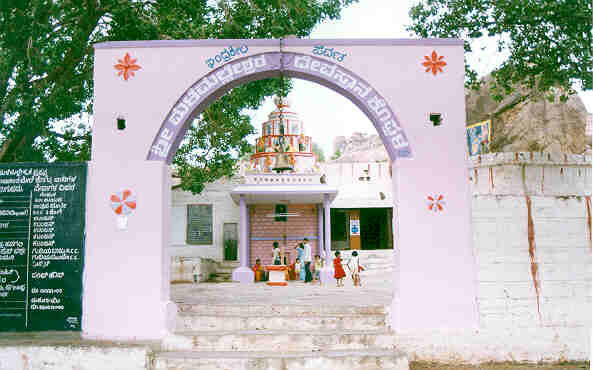 Gundlavaddigeri is an ancient village in Koppal District. It was a big city prior to Vijaynagara period. A 12th century stone deed in Halegannada (old Kannada), belonging to the Vijaynagara dynasty has been excavated from here. According to this deed, a lake was built in this village for irrigation. Now there are many dry lakes in this village. 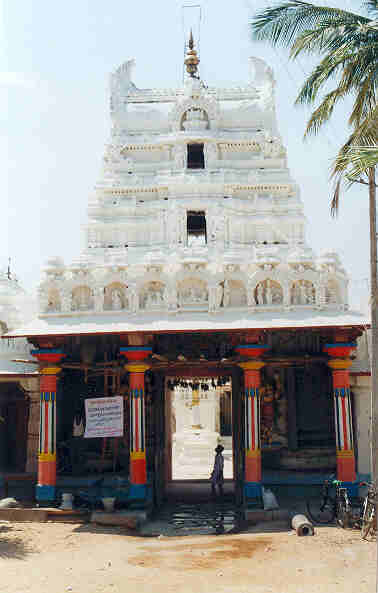 Maadanoor Temple is situated at Koppal in Koppal District of Karnataka, about 9 km from Bahadur Basadi. The temple houses two bronze idols of Brahmayaksh and Padmavati of the 13th and 16th centuries. 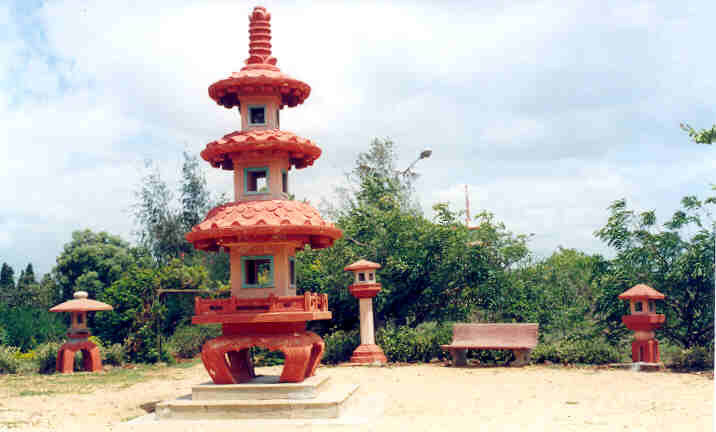 Is about three miles from the south of the Bannikoppa railway station on the Gadag-Koppal line. 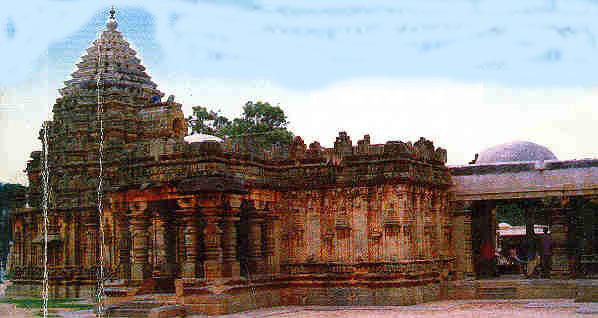 This place is famous for the Mahadeva temple, which is one of the finest of the later Chalukyan temples. The temple, which faces east consists of a shrine with an ante-chamber, a closed hall with porches on either side of it towards the north and the south, and the pillared hall which is open at the sides. 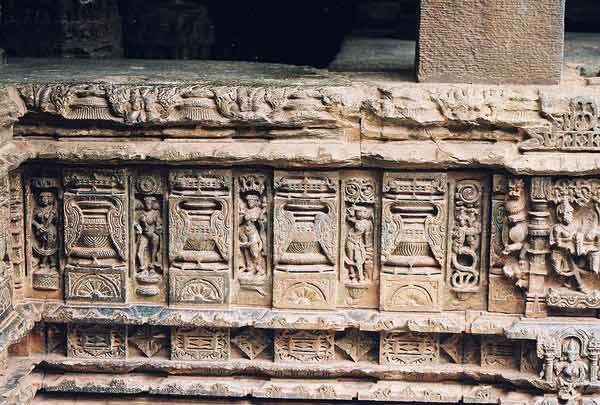 About eight miles from Koppal, is noted for manufacture of toys and images by Chitragars. Weaving, preparing of combs from horns and pottery are the other industries of this place. 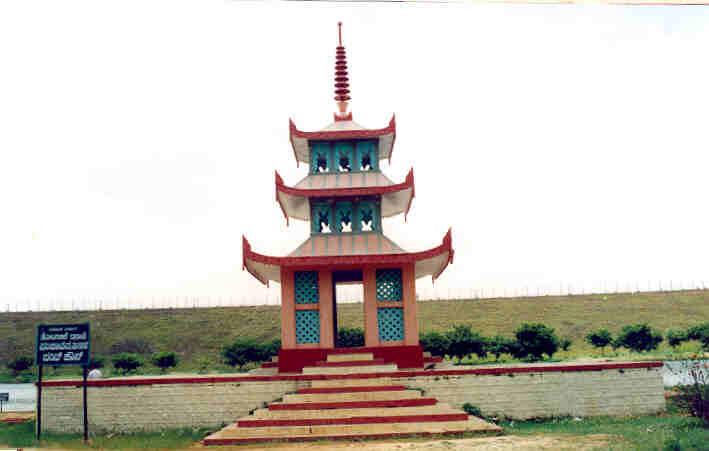 Is an ancient place situated on the Gangavati-Lingasugur road, about 13 miles from Gangavati. Kanakagiri means a "Hill of God" and its old name was Swarnagiri with the same meaning. This place was probably the head quarters of the southern viceroyalty of the Mauryas. PURA, Kotilinga Temple, Pura in Kushtagi taluk, about the five miles from Tavargera, Kotilinga Temple, Pura is noted for its fine and spacious temple of Someshwara which has Koti Lingas , where annually a big jatra(Fair) is held in the month of Shravana.